6817 Buchan Road, Ellicottville, NY.| MLS# B494877 | Chautauqua Lake Real Estate Services. Informed, Professional Real Estate Information Serving Buyers and Sellers Interested in Lake Chautauqua Real Estate and Chautauqua County NY Real Estate. Rick and Julia McMahon Real Estate Advantage Since 1992. 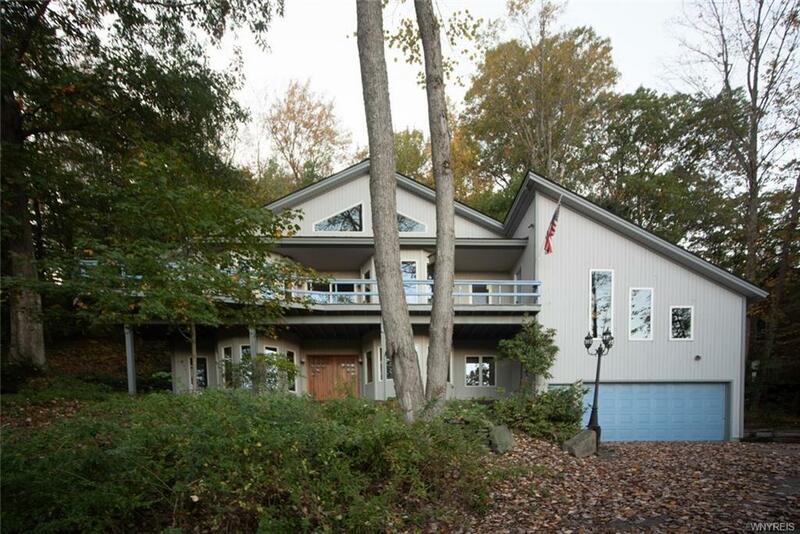 Captivating & spacious chalet at the top of Holiday Valley Rd. Beautiful views both day and night of the ski slopes. Lower level family/ski room & guest area has all new tile & carpeted floors. All fireplaces have new tile surround. Great floor plan for entertaining large or small. Open floor plan from the newer remodeled kitchen to bright living & dining areas. Walls of windows bring the outside in. 3rd level loft/bedroom or another rec room. Deck off 2nd level to capture the fresh mountain air. Walk to Sky High park, Mountain Coaster, Spruce Lake to kayak, swim & hike. So accommodating for year round enjoyment. Smart updated design & fully furnished. 2 car garage w/ upstairs area!